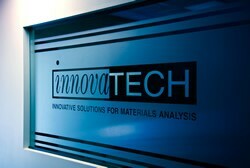 Innovatech Labs is a leading analytical laboratory in Minnesota, specializing in materials analysis, testing and characterization. The laboratory’s staff of experienced chemists use sophisticated techniques to analyze product components for quality and performance. Innovatech Lab’s content targets a very niche market. Previously, the blog strategy focused mainly on SEO objectives to drive keyword rankings for priority top of the funnel terms. As an evolution of their program, Innovatech Labs had the opportunity to expand the blog strategy to focus on a wider set of pain points associated with targeted personas. TopRank® Online Marketing worked with Innovatech Labs to create an integrated, persona driven blog strategy focused on solving customer pain points in each stage of the buying cycle to ultimately increase qualified blog traffic. A review of Innovatech’s blog strategy revealed opportunities to expand blog strategy to target its core audience personas: senior polymer chemists, manufacturing quality engineers, senior analytical chemists and manufacturing sales representatives. Audience: Target each blog post to a distinct persona by responding to industry questions and pain points. Keyword: Broaden keyword net to include keywords that our audience might be searching for, such as reverse engineering, microcontamination and materials testing. Stage in Buying Cycle: Target each blog post to a stage in the buying cycle: attract, engage or convert. Call-to-Action: Link CTAs to related blog posts that drive readers deeper into the funnel of the buying cycle. Amplification: Amplify each blog post across Innovatech’s social media channels. Ultimately, this change in strategy to broaden keyword net, capitalize on a broader audience led to an increase in qualified organic traffic to the blog. TopRank continues to work with Innovatech Labs by providing Search Engine Optimization consulting services and content creation for better organic search visibility. Do you want to learn more about creating an integrated blog strategy? Contact TopRank® Online Marketing today.